Overall, throughout our country, despite extensive and excellent cutting edge medical facilities, the current state of our children’s health and wellness is not acceptable. This is not meant to be just a moral judgment; it is a fact. To be clear, this is not a call for—nor a time for—blame, condemnation or pillory. This is a request for collective action leading to collective positive impact. We are all equally culpable for the eyes-half-shut-indifference that has led to this crisis. Certainly there are pockets of compassion, dedication and accomplishment, but, for the most part, these efforts are isolated, fragmented and, in many cases, redundant. In any case, they are simply not enough. The challenge is too broad, the cost of continued failure too devastating. So, what’s the good news? 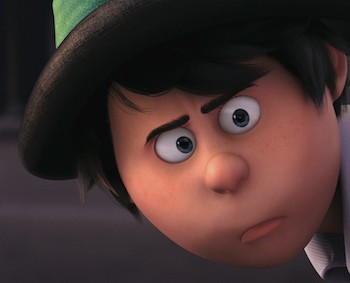 Oh, there’s plenty of good news. Informed, aroused, harnessed, coordinated and given a call to action, there isn’t anything this country can’t accomplish. We have talent, passion, energy and — with collective focus — we can save our kids and put them on a path to optimal health and wellness. Every child is entitled to an equal opportunity for life-long optimal health and wellbeing. Despite the best efforts of the healthcare system, we are losing the battle to attain and sustain adequate levels of health for all of our children. The core mission of every healthcare provider has always been to improve the health of the patient. Unfortunately, medical care provides only one point of contact with children and their families and, unfortunately, the context tends to create a relationship of dependency. To advance quality of life, prevent avoidable illness and compress morbidity, community leadership must embrace and advance a health model that goes beyond reactive care. In addition to treatment, providers need to focus on effectively engaging children and their families in self-management and lifestyle behaviors that enhance health. In addition to medical treatment, a comprehensive, preconception-to-adult model must include attention to the social determinants of population health, primary prevention, and wellness. The goal is to keep all children healthy, purposeful and out of the hospital and emergency rooms. A “Whole-Child” model requires that today’s healthcare providers identify and mobilize community-based coalitions with a focus on advancing new and bold initiatives to transform (not tweak) how we protect and serve the health and wellness needs of our kids. This transformation from a reactive, paternalistic model to a proactive model driven by shared responsibility (and accountability) requires a different skill set than the direct provision of acute medical care. The challenge is immense but, collectively, we are more than up to the task. We can, and we will, save and facilitate the wellbeing of our children. First, You Must Decide to Wake Up! Because we are human, we do not always do what our mothers taught us to do. We make mistakes. We slip. Sometimes we feel guilty, sad and remorseful. This is followed by a strong commitment to change; to get back on the right path, to do all those things that mom, our first-grade teacher, Captain Kangaroo, Bert & Ernie, Mr. Rogers and Oprah told us to do. Unfortunately, just like when on a bike path — once we slip off we tend to make deeper and deeper grooves in the soft grass and mud. If we stay too long the grooves just get deeper until we find ourselves in someone else’s tracks; someone who slipped off the path long before we came along. Without fast action, we quickly adapt to this new trail. It seems so much easier to continue along in the mud. The problem is that we know we are in the mud and that we would be much safer if we could break through the rut and get back on the stable road. However, when we try to leave the sloppy and increasingly dangerous trail we are intimidated by the bumps as we smack up against the groove’s edge. So, we settle back into the rut (we’ll try again, later). We lack the courage, strength or will to risk the initial jar so we stay where we are. Such is life both on and off a bike path. The difference between life and a bike path is that, on the life path, there are plenty of people happy and eager to tell you what’s good for you — what you need to do to live a healthy, happy, and prosperous life — to get back on the right path. Parents, teachers, priests, rabbis, monks, mullahs, your Aunt Betty, Dr. Phil and the next-door-neighbor stand ready to give (push) advice your way. Mostly, this advice is well intentioned, but it is often general in scope with little or no personal relevance. Any newsstand magazine, professional website or internet blog can give you a broad wellness formula made up of good sense tips (mom told you these things a long time ago) like eat healthy foods, get plenty of sleep, stay away from tobacco, drink alcohol moderately or not at all, exercise regularly, spend time with family and friends, read a terrific book, see your doctor and dentist annually, wear your seat belt, believe in a higher power and stay away from a steady diet of cable news. The science of life is general and objective. Evidence indicates that, foregoing defective genes and catastrophic events, a life accented by a healthy blend of proper nutrition, physical activity, rest & recovery, intellectual stimulation, emotional support, spiritual engagement and social interaction tends to be long and relatively free from illness and disability. Science can show you how to build a strong skeleton, but YOU have to lay down the muscle and tease out the connective tissue that makes your unique system work, for you. There are countless “How To…” books outlining the objective science of life complete with full-color templates. But, only YOU can explore, discover, design and nurture the unique, subjective, deeply personal art of living your life. So, again, the questions are: What do YOU want? Where do YOU want to go? What predictably triggers and sustains those moments when you feel truly happy and satisfied with the life you’re living? Is it yoga or deep breathing exercises? How about “The Secret,” The Bible, The Koran, The Torah, or “The Four Noble Truths?” Is it truly better in the Bahamas … and does it simply take a trip to Jamaica to feel alright? Perhaps, for you, wellbeing — life satisfaction — improves when you read a good book, spend time with your kids, go the movies, buy gifts for your grandchildren, drink a cold beer on a hot summer day, watch television or work till dawn on a project that comes to life and tickles you each time you give it your undivided attention? For me, every few years, it’s a quiet far-far-away mountaintop, exhausted, sleeping alone in a tent surrounded by strangers who quickly become forever-memory friends. For my wife, it was once the thrill of climbing out of a perfectly good airplane, hanging from the wing strut, letting go, and floating through the sky (YIKES!). How about you? Of course, you WANT to increase and sustain your life satisfaction, but first you must WAKE UP! You must become AWARE and take inventory of what brings meaning to your life, today. You must open all of your senses and pay attention. Yes, for most of us, Shakespeare’s later ages will bring physical decline, but it can also be a stretch of immense joy and happiness; a period of calm and peaceful meditation on a life well lived. Life’s Act III should be a time where Walter Mitty isn’t restless from the angst that comes from living a would-be life of fantasy and vicarious joy, but, instead, enjoys the serene rest that comes from inhaling a life of active living. Or, perhaps a better way of looking at it is to consider the quality of the dash (-) that separates the date of your birth from the date of your death. The date of your birth is fixed and beyond your control. You are here, so open your eyes to all of it, the good, the bad and the truly ugly. The other date, your death, is inevitable and is simply a matter for the stonemason. As they did about so many things, Joseph Campbell and Viktor Frankel spoke eloquently and passionately about the art of living — the dash. When asked, “What is the meaning of life?” Campbell would say, “There is no meaning of life. We bring the meaning to life.” He agreed with Viktor Frankel’s philosophy that sustained wellbeing (success, happiness) ensues from the honorable and enjoyable pursuit of meaningful goals. No fee…no need to leave an email address…simply click the “Health and Wellness Industry FAQ: Samuelson link (Next Line) and it’s yours! Wellness Exists at the intersection of Contentment and Aspiration. Over the years I’ve been asked a number of questions about the health and wellness industry. This is question #10 of the top 10 most frequently asked questions. The responses are, of course, neither right nor wrong. They are simply my impressions from over 35 years of field experience. QUESTION #10: After spending so many years as an executive, educator and practitioner in the field of health promotion and disease prevention, what advice do you have for the next generation? RESPONSE: Before giving advice, let me express my absolute joy in having spent my entire career as an educator in the area of health promotion and disease prevention. It has been, and continues to be, a wonderful adventure; one that has allowed me—for the most part—the luxury of following my passion, defining and pursuing a purposeful life and avoiding anything close to what we think of when we use the term, “work.” I am humbled and grateful for the opportunities that continue to come my way. As for advice, I urge teachers, students and practitioners to recognize that we have barely scratched the surface when it comes to having an impact on the overall health and wellness of this, or any other, country. Remember that the process of change goes from intellectual (information stage) to emotional (engagement stage) to visceral (action stage) and, finally, to cellular (sustained engagement stage). We have done a reasonably good job with education and awareness; however, for the most part, this has not translated to sustained actions resulting in improved health and wellbeing. This is not for a lack of effort and, certainly, there are isolated pockets of impact; however, the overall investment of blood, sweat and tears has failed to produce an adequate return. Why is this the case? What should we be doing that we haven’t done? What should we do differently? What, perhaps, have we done that we should not have done? Primary prevention is the identification and mitigation of risk factors, i.e., smoking leads to lung cancer, so don’t smoke; obesity leads to heart disease, so reduce your fat and sugar intake, exercise more and lose weight; hypertension kills so lower your blood pressure with a proper diet, exercise and stress management. Primordial prevention looks to not only identify and mitigate risk factors but slices deeper to identify and mitigate the root cause of these risk factors. The emphasis changes from, “What are the risk factors?” to “What are the environmental, cultural, economic, social and behavioral conditions that allow these risk factors to emerge?” With primordial prevention comes comprehensive and collective impact efforts targeting poverty, inequality, environmental toxins, hunger, malnutrition, child abuse, housing, education and other determinants of population health. According to The Institute for Functional Medicine, “Functional medicine addresses the underlying causes of disease, using a systems-oriented approach and engages both patient and practitioner in a therapeutic partnership. It is an evolution in the practice of medicine that better addresses the healthcare needs of the 21st century. By shifting the traditional disease-centered focus of medical practice to a more patient-centered approach, functional medicine addresses the whole person, not just an isolated set of symptoms. From my perch, this blend of collective-impact sociology and patient-centered medicine holds great promise for the advancement of community as well as worksite health and wellbeing. I strongly encourage you to investigate the area of primordial prevention including the critically important pursuits of The Institute for Functional Medicine. I am indebted to Dr. Howard Schwartz, an Integrative Cardiologist located in New York City, for providing me with an introduction to primordial prevention and functional medicine. Dr. Schwartz has more than 23 years of field experience in the areas of preventive cardiology, general wellness and prevention, stress reduction and lifestyle modification. Dr. Schwartz specializes in assessing the healthy heart status of organizations, and custom designs education and intervention strategies to advance both personal and professional performance. Over the years I’ve been asked a number of questions about the health and wellness industry. This is question #9 of the top 10 most frequently asked questions. The responses are, of course, neither right nor wrong. They are simply my impressions from over 35 years of field experience. QUESTION #9: What is the number one health and wellness misconception? You see, what parts the cornstalks and spurs action is not an objective analysis of “right” or “wrong,” “healthy” or “unhealthy.” Action is kicked into gear by an emotional drive to feel good; to do those things that bring SUBJECTIVE enjoyment, relief and/or respite. In the moment, the behavior is always perceived as advancing one’s self-interest (including neutralizing or slowing metastatic pain and discomfort). Morally, this is neither good nor bad; it simply is. Sometimes the actions are beneficial to one, some or all; sometimes they are harmful. However, most of the time, they have no impact, either way. We are social, emotional beings influenced by tribe expectation, stimulation and convenience. Fact: Cost, group dynamics (behavioral clustering) and law influence personal choice more than the threat of downstream poor health. In very simplistic terms, what this means is that city-planners, employers and wellness practitioners need to spend less time fine-tuning treatment models and more time on primordial prevention, protective infrastructures and ways to help individuals discover what shakes their bones and lifts their spirits. Once that is done, sit back, clear the trampled field, yell “Play Ball!” and enjoy the game! Or, another way to put this—and please excuse me while I switch metaphors—the challenge isn’t to build a better mousetrap…the challenge is to provide more appealing cheese. 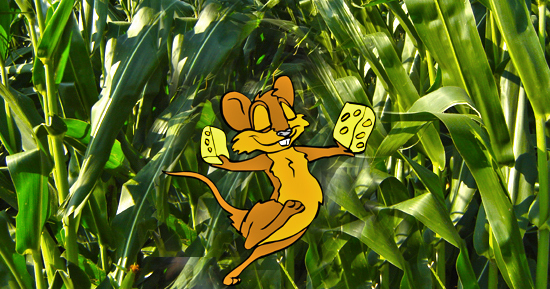 “Finding Your Cheese in a Field of Dreams! The Health and Wellness Industry FAQ: Small Budget – What Should I Do First? Over the years I’ve been asked a number of questions about the health and wellness industry. This is question #8 of the top 10 most frequently asked questions. The responses are, of course, neither right nor wrong. They are simply my impressions from over 35 years of field experience. As a CEO, I may not be able to dictate what you do the other sixteen hours but I can certainly shape the environment and promote a healthy agenda when it’s on my time and my dime. When you’re in charge, you get to make the rules. Today’s CEO gets to call the shots. If they want Free-Fruit-Fridays and a smoke-free campus, all they have to do is say so. As long as they conform to the letter of the law (and, in a union shop, provisions agreed to in collective bargaining) corporate rulers get to rule, absolutely. Healthy food in cafeterias, safe and inviting stairwells, health awareness campaigns and flu clinics are easy to administer and the cost is minimal. Creating a smoke-free campus and banning sugar sodas, candy dishes and high-sugar-high-fat celebration “treats” costs nothing more than the courage and conviction needed to make it so. The Health and Wellness Industry FAQ: Vendors – How Do You Sort Out the Good, Bad and Truly Ugly? Over the years I’ve been asked a number of questions about the health and wellness industry. This is question #7 of the top 10 most frequently asked questions. The responses are, of course, neither right nor wrong. They are simply my impressions from over 35 years of field experience. Thirty years ago, there were only a handful of quality programs available through national vendors. Choice was not that difficult. Today, with the growth of the Internet and the flood of scientific data, there are hundreds of vendors anxious to sell you their services. Caution: A “Desk Drawer” wellness initiative will burn out your staff and simply will not work (tweak…maybe…but not transform). Avoid a scattergun or one-off approach. Success requires a dedicated internal project manager working with an experienced and field-tested 360 degree vendor. Who are the individuals behind the products? Do you have an advisory board? If so, who are the members? Can you prove net health care and/or productivity cost reductions while improving population health? Are you open to risk sharing or pay-for-performance contract provisions? What outcome analytics are in place to track program results? Who are your client references? A vendor should be much more than a provider of drop-off products and services. They need to be comprehensive, accessible, flexible and experienced. Sound simple? It’s not. Due to limited dollars, you need as much quality one-stop-shopping as possible. You do not have the time, dollars or energy to have multiple contacts for each of your offerings. Find an experienced multi-component provider and stick with them. They will not only help you with paperwork and sanity, they will also help with triage, crossover, data collection, analysis and strategic planning. Like a good pharmacist, they will also help you avoid unhealthy program interactions. An excellent provider will have a pattern, philosophy and support network that is consistent throughout their offerings; this will help you, immensely. A good vendor is, at a minimum, equal to one FTE. A health awareness component, including health education, preventive screenings and health risk assessments. Marketing and promotion efforts to maximize employee participation and engagement. Research supported programs and methodologies to change unhealthy behaviors and lifestyle choices, including counseling, seminars, online programs and self-help materials. Supportive environment efforts, including assistance with workplace policies to encourage healthy lifestyles, healthy eating, increased physical activity and improved mental health. Introducing excellent programs without a comprehensive corporate audit (readiness) and indicated culture adjustments ⎯ policies, procedures, senior management visible buy-in and health-driven food services ⎯ is akin to throwing fertile seed on untilled and nutrient-poor soil. It won’t work; you will lose money and credibility. Over the years I’ve been asked a number of questions about the health and wellness industry. This is question #6 of the top 10 most frequently asked questions. The responses are, of course, neither right nor wrong. They are simply my impressions from over 35 years of field experience. QUESTION #6: There seems to be confusion as to what is “Wellness.” How do you define it? …any activity, policy, attitude, and physical plant circumstance that facilitates a person’s progression toward complete physical, intellectual, emotional, spiritual and social wellbeing and not merely the absence of harm. And, yes, I know, COMPLETE actualization is not going to happen in this lifetime. It is the continuous progression of incremental (mostly small) improvements that we seek to achieve and—particularly important to CFOs—measure. “We are bombarded with individuals and organizations selling wellness (health promotion, disease prevention and disease management) products and services. Over the years I’ve been asked a number of questions about the health and wellness industry. This is Part I of a two-part commentary featuring the top 10 most frequently asked questions. The responses are, of course, neither right nor wrong. They are simply my impressions from over 35 years of field experience. QUESTION #1: Reflecting on your experience as a former senior executive in the health insurance industry, did the industry’s less-than-favorable profile with members adversely impact your ability to deliver health and wellness products and messages? RESPONSE: While it is true that people often view insurance (of any kind) as a necessary evil, it’s important to remember that living a healthy lifestyle benefits everyone. When the payer is the employer, assuming fully-insured, the return is in the form of productivity and a favorable bargaining position when it comes to renewal discussions. When the payer is an individual, the return is improved quality of life, reduced out-of-pocket expenses, and the potential for marginal annual premium increases. Quite frankly, I had more of a challenge “selling” the health and wellness message internally than I did to the community at large. In general, the health insurance industry is decidedly conservative and tends to change slowly and with considerable resistance. Historically (and simplistically), the focus of the health insurance industry is claims processing; a transactional activity centered on collecting premium dollars from payers and using the funds to pay healthcare providers. The insurers retain administrative and reserve dollars to cover operating expenses and to protect against unforeseen and catastrophic future claims. Wellness (community health promotion and disease prevention) is a relatively new activity with weak controls and questioned/skeptical return on investment. Most, if not all, insurers agree that they should provide these services—if only because members request/demand that they do—but few have applied the rigorous business standards needed to justify and grow “Wellness” as a necessary cost of doing business and/or as an independent profit silo. By and large, the general public understands the value of living a healthy life; it’s the inside corporate folks that still need convincing. QUESTION #2: Assuming support and commitment to wellness as a cost of doing business and/or a potential profit center, how does an insurance company influence members to make healthy lifestyle choices and to participate in program offerings? Premium discounts for participation in wellness programs, i.e., health risk assessments, tobacco control, weight management. Promoting healthy living in their member communications, advertisements, and promotions. Offering physician incentives based on prevention interactions with patients. Keep in mind that social marketing (selling an intangible) is, increasingly, just as much about science as it is about art. Study, understand and apply lessons learned from the emerging field of behavioral economics. We are under the false impression that we are rational beings who emote instead of the fact that we are emotional beings with the capacity to think rationally … and even more importantly, meta-rationally. QUESTION #3: In your opinion, what makes a health and wellness initiative successful and how do you measure the success of health and wellness initiatives? Organizations must frame wellness in context and in consort with their corporate mission and margin. Does the “Wellness Strategy” contribute to key employee retention and acquisition? Does it show measurable impact on the claims experience (including that of dependents)? Does it serve to bend the healthcare cost trend? Do employees enjoy the programs and participate in significant numbers? Does it support the company’s mission, vision, and core principals? Keep in mind the fact that subjective, as well as objective, measurements determine success. In the first year of a wellness strategy, success may be measured by participation alone. However, beginning as early as year two, a successful program needs to show value beyond participation. What percentage of smokers kicked the habit? Relative to claims data, do you see positive trending (or zero trending) in the areas of obesity, hypertension and high serum cholesterol? Is there a correlation between employee performance reviews and participation in the wellness program offerings? It’s important to note that with a comprehensive initiative (designed with long-term mission and margin objectives in mind) you will actually see an increase in healthcare costs during the first couple of years. This is due to increased awareness, growing medical self-responsibility (age and gender appropriate screenings), early detection and early intervention. After three full years of operation, data shows that a comprehensive wellness initiative will provide a return in the area of 2:1 (two dollars saved for each dollar invested in the initiative). However, if the wellness strategy simply broke even, the company wins, everybody wins (accept the healthcare system that depends upon all of us presenting with illness early, often, and with increased complexity). QUESTION #4: Is it possible to measure ROI? RESPONSE: Yes, but it is also possible to measure DNA. DNA is a “Do Nothing at All” strategy. Since the year 2000, the cost of insuring a family of four has risen 114%. A “Do Nothing at All” strategy is simply not tenable. Primordial prevention and primary care cost pennies; secondary care and prevention costs dollars, and tertiary care ¾ associated with chronic illness ¾ cost bags of gold. This is another variation of the “Pay me now…or, pay me later” question. What Difference Does it and Will it Make? – Continuous objective and subjective evaluation involving lifestyle-related claims monitoring, employee acceptance, participation rate, and measuring the correlation between participation and employee work performance evaluations. Caution: Office politics are critical and numbers are slippery. Your battle is doomed to fail. In fact, it maybe advisable to scrap or delay rollout until the “C” Suite and middle management are on-board. QUESTION #5: Nationally, are H&W programs starting to be considered core business (as opposed to “nice-to-have-but expendable” activities)? If the answer’s yes, what’s driving this? Health reform and its emphasis on prevention? Group demand? Other reasons? Employees expect worksite wellness programs as part of an insurance bundle (often at no additional fee). Credible data supports health promotion, disease prevention initiatives. Among the few areas of bipartisan agreement in the new Patient Protection and Affordable Care Act (PPACA; P.L. 111‐148) are measures aimed at constraining the growth trend in medical treatment spending and costs through health and wellness promotion and prevention initiatives. Essential Benefits, Elimination of Co‐Payments for Screenings and Preventative Care – Starting back in September of 2010, employer‐sponsored (and other) group health plans and health insurance issuers were prohibited from requiring co‐pays for all preventative services recommended by an independent expert panel, the United States Preventative Services Task Force. Co‐pays were also eliminated for certain recommended immunizations, breast cancer screenings, and other preventative care/screenings for women and children. However, this requirement does not apply to “grandfathered” health plans, which are defined in PPACA as any plan in which at least one individual was enrolled in as March 23, 2010. Additionally, Congress put in place beginning in 2014 “essential health benefits requirements” that most individual, employer and Health Insurance Exchange plans must cover. The Secretary of Health and Human Services (HHS) is tasked with defining the essential health benefits, however such benefits are required to include certain general categories, including: emergency services, hospitalization, maternity and newborn care, prescription drugs, laboratory services, mental health services, preventive and wellness services and chronic disease management. Employee Wellness Discounts – Previously, a provision in the 1996 Health Insurance Portability and Accountability Act (“HIPAA”) permitted employers to reduce the cost of health insurance premiums for employees practicing healthy behaviors. The provision, which provided for a reduction of up to 20% of the employees’ regular premium cost, allowed employers to reward workers who met certain criteria “reasonably designed to promote health and prevent disease.” This typically includes employees who refrain from smoking, maintain a healthy weight, and keep blood pressure and cholesterol levels low. Starting January 1, 2014, the PPACA enhances such wellness discounts by permitting group health plans to give reductions of up to 30% of the cost of premiums to employees who participate in such wellness programs. This may be expanded to 50% subject to the discretion of the Secretary of HHS. Employee Wellness Grants to Small Business – The law established $200 million in wellness grant funding to be distributed to eligible small employers for fiscal years 2011 to 2015. Eligible employers are defined as those who employ less than 100 employees that work 25 hours or more per week, and also who did not have a wellness program in place as of March 23, 2010 (the date of enactment). Over the past 30+ years --- from Boston to Brussels, London to Little Rock, Peoria to Paris and Harrisburg to Havana, Cuba --- Michael Samuelson has lectured on leadership, health promotion, patient experience, health policy, disease prevention and the dynamics of behavior change. An author of five books and numerous articles on leadership and behavior change, his work has been featured on the ABC News program, 20/20, The CBS Morning Show, CNN and MSNBC as well as numerous national print publications including The New York Times, Boston Globe, The Lancet, Employee Benefit News, Business Week and USA Today. His distinguished professional resume includes successful entrepreneur, intrapreneur, senior executive in the health insurance industry, CEO, university lecturer and US health policy advisor. His writings, audio work and behavior change programs have been distributed to millions throughout the world and have been publicly endorsed by scientists, politicians, advocacy organizations, business leaders and media personalities including: George H.W. Bush, Betty Ford, C. Everett Koop, Ken Blanchard, Jim Prochaska, Dee Edington, The Lance Armstrong Foundation and Larry King. Michael completed his graduate studies at the University of Michigan School of Education, is a Vietnam Era veteran of the US Air Force (1967- 1971) and a recipient of the Commander’s Coin of Excellence from the US Army Center for Health Promotion and Preventive Medicine. Practicing what he preaches, Michael is an avid world trekker with high altitude mountain adventures logged in Asia, Europe, Africa, South America, Alaska and the US lower 48. All after the age of 50 and after being diagnosed with cancer. Wellness works!